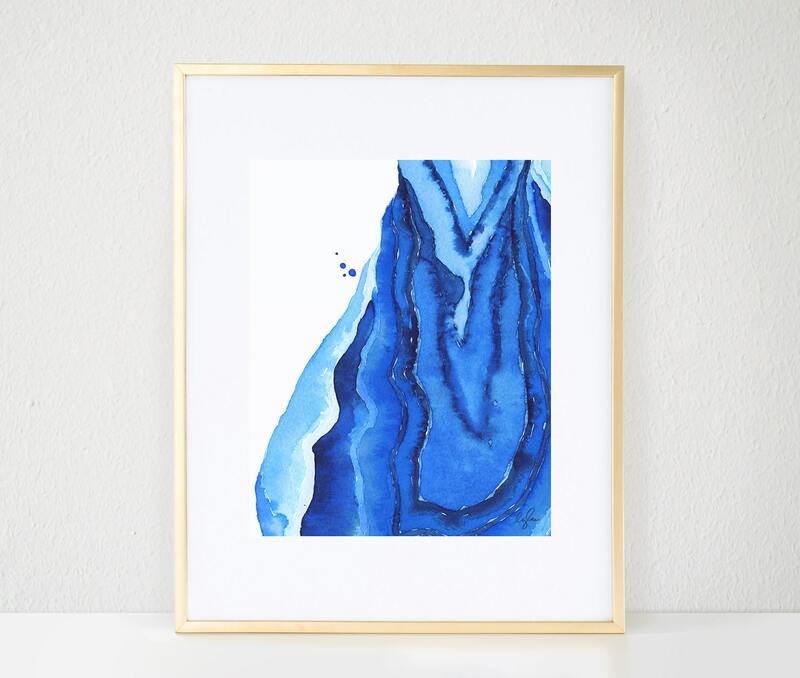 This gorgeous agate detail print, made from my original watercolor painting, takes the hot new trend you see all over stores, magazines, and Pinterest to a new level! This closeup view highlights all of the thoughtful details, and moments of interlacing navy and blue tones. It adds a bright pop of color to any space, making it instantly feel like it belongs on Pinterest! And, each one is printed on carefully selected, high quality paper with archival inks to ensure a beautifully vibrant print, and also meets our uncompromising quality standards. The 8"x10" print when matted and framed to 11"x14" becomes an eye-catching statement piece that everyone will be asking about. Check out the gold leafed version here!